Miloš Zeman, Xi Jinping, photo: ČTK/Radek Jozífek President Zeman gave a rendition of his favourite Sentimental Journey on a Czech-made Petrof piano at the China Import Expo to an audience that included Chinese President Xi Jinping and Russian Prime Minister Dmitrij Medvedev. 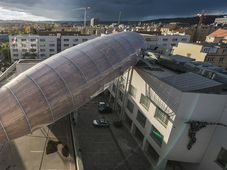 Among the many Czech firms presented at the Czech pavilion, where the Czech president himself welcomed top officials, were the Moser glassworks, the Tatra truck maker, the Lobkowicz beer brewery and Škoda Auto with its new Kodiaq coupe-an SUV tailored exclusively for the Chinese market. 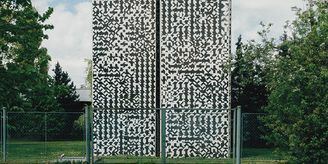 While on past occasions, the Czech Republic has mainly courted Chinese investments, this visit was meant to show that the country has much to offer in terms of exports. The president’s entourage, on what is his fourth visit to China, included four ministers and around 60 business leaders, eager to sign contracts on the spot. 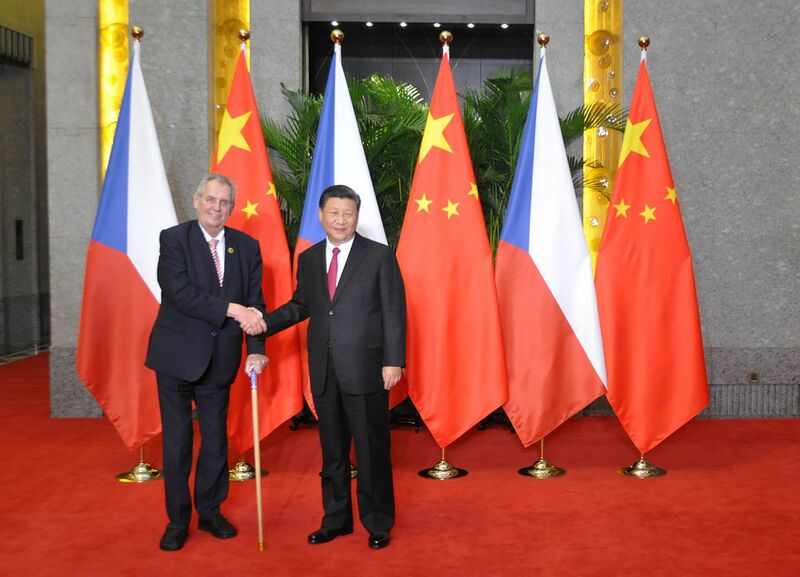 President Zeman who has welcomed the “restart” in Czech-Chinese relations and nurtured bilateral ties by frequent visits and hosting Chinese business forums at Prague Castle made clear his stand on the US-China trade war, saying he was against all forms of protectionism. 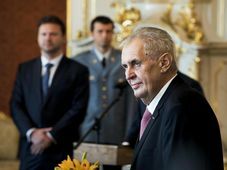 Opening the Czech-Chinese Business Forum in Shanghai on Tuesday, President Zeman called on entrepreneurs to show courage, which he said was key to winning trade deals. Mr. Zeman highlighted a 20-percent rise in Czech exports to China and 20-percent growth in the number of Chinese tourists visiting the Czech Republic in the last year. The Czech head of state met for one-on-one talks with his Chinese counterpart President Xi Jinping focussing in particular on China’s new Silk Road project which is to reopen trade channels between China, the Middle East and Europe. 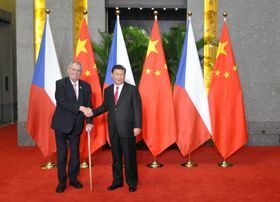 Mr. Zeman said he would like to see at least one branch of the new Silk Road lead thorough the Czech Republic. The $900 billion scheme will involve huge investments into infrastructure in the regions through which it will pass. Tomáš Petříček, photo: ČTK/Michal Krumphanzl While in the wake of past visits, the Czech president has often come under fire at home for failing to bring up China’s human rights record, this time the issue was brought up by the recently appointed Czech Foreign Minister Tomáš Petříček. Following talks with his Chinese counterpart Wang Yi Mr. Petříček said that in future human rights would be part of the Czech-Chinese dialogue. 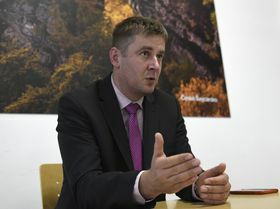 Minister Petříček said that as a member of the UN Council for Human Rights, the Czech Republic would be carefully following the human rights situation in many countries and would be issuing recommendations, without exception. 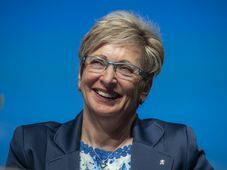 Since taking office the new foreign minister has been emphatic about the need for Czech foreign policy to be more vocal on the matter of human rights world-wide.